You may not be the CEO yet. But as a company executive, an executive’s unexpected resignation, termination, or even absence is cause for alarm. Best case scenario, you may be chosen by the board to serve as interim CEO or executive. On the flip side, you may lose your job or the company may go down in the dumps as a result of this shake up. Succession planning is one of the most overlooked responsibilities of any business. 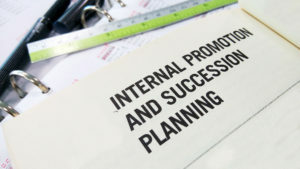 Many companies don’t have a succession plan, while some companies just have a list of potential candidates and people to contact. Their standard operating procedure, in the event of an unexpected resignation of an executive or anyone in the C-suite, is to gather the board of directors so they can decide who to place in the interim position immediately. But by the time they decide, it might be too late. Their stocks might’ve crashed and their revenue severely affected. Now is the time to step up and be the superhero of your company. What’s the current direction of the company? Do you want to continue that route? Before identifying the ideal skills and persona of the interim executive or CEO, you must all agree on the company’s direction. No amount of experience will help, if you all can’t agree what success looks like. Personal agendas and politics can adversely affect the company. After coming to terms with the company’s strategic direction, it’s time to discuss the profile of the ideal candidate. List the skills, leadership history, and industry experience required based on the agreed direction of the company. Who in the executive team can get the people’s support? Selecting the interim CEO is the board’s responsibility, but whether that candidate is accepted or formally recognized by current employees is outside their control. After getting formally appointed, the new executive or CEO must get the confidence of employees and stakeholders. This is a tough spot to be in, if you happen to be chosen for the position. On the other hand, now is your chance to prove what you can do as a leader. Finally, decide on the interim’s tenure. The typical tenure of an interim CEO or executive usually depends on how long it takes to find a permanent hire, and how much time is needed to get the new CEO up to speed. If you were chosen for the role, you may be appointed a permanent position if you prove better than your predecessor. Say the company’s profit has been failing for years, and you manage to make it cash positive again—after three long years. As a temporary CEO or executive director, it’s your job to set benchmarks for yourself based on the company’s past performance. Present your goals to the board members to see if they will approve of your plan. Then work hard to meet or exceed those milestone goals to cement your position.